We do not have parking facilities at The Old Coffee House as our building is very old and this part of the town was designed long before the advent of the motor car! 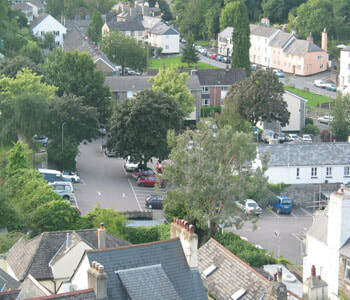 However, Ashburton has a pleasant carpark in the town centre, partly surrounded by green hills and lovely old buildings. Just across the road from us is a little cut through which takes you directly into the car park. Free from 6.00 pm to 9.00 am each day.